Last week ‘s post summarized the first part of an important article by Anne-Marie Womack, Teaching Is Accommodation: Universally Designing Composition Classrooms and Syllabi, College Composition and Communication, February 2017. Womack, assistant director of writing at Tulane University, encourages instructors to rethink accommodation as normative rather than an exception to a rule. The second part of the essay focuses on creating an accessible syllabus both in theory and in practice by “moving from syllabus as contract to syllabus as accommodation.” This can be accomplished in a number of ways, starting by not limiting the notion of accommodation to a paragraph stating the institutional disability policy. Syllabi are often heavy on text and present inflexible policies written in a punitive and/or defensive tone. Womack suggests instead that instructors strive to create accessible documents that engage students with “cooperative language” and flexibility in assignments. She does acknowledge that it is important to consider the particular student audience in designing a syllabus—one solution doesn’t fit all. Instead, she suggests three strategies. The first strategy is Creating Accessible Document Design. Reducing the amount of text in your syllabus is the primary consideration. Womack starts with the boilerplate policies that may be required by the institution, school, or department. Such information may be reduced to basics, linked to, or included at the end in an appendix. Other information can be provided during the semester as it is needed, e.g., assignment specifics, writing prompts. How the text is formatted can make a big difference—Womack suggests trading some text for accessible images. This will necessitate the creation of alternative text (alt text) to describe the image for those who use screen readers. She suggests that alt text be “focused on data, not extraneous visual details.” Since images can introduce color that may not be visible to all readers, there are guidelines for best practices. (I’ve included some resources for creating accessible images and documents at the end of this post.) Womack shows examples of how she converted her syllabus from text heavy to accessible by using images, blocks of text, bulleted lists, and icons, and increasing the amount of white space. Using a larger font size and a san serif font will also improve readability. Your goal is to “make the syllabus user-friendly” because you want your students to use it. Other tips include creating a table of contents for improved navigation, making internal hyperlinks to connect items within the syllabus, using headings to establish hierarchy, bolding text to emphasize key ideas. The second strategy Womack advocates is Engaging Students with Cooperative Language. You want to convey “approachability and empathy” rather than making students feel uncomfortable requesting accommodations. Don’t focus on negative consequences and punitive rules. Instead look at inclusive practices in your syllabus as a means to engage student cooperation. Your success in this class is important to me. We will all need accommodations because we all learn differently. If there are aspects of this course that prevent you from learning or that form barriers to your inclusion, please let me know as soon as possible. Together we’ll develop strategies that can enable you to succeed in the course. I encourage you to visit the Office of Disability Services to determine how you could improve your learning as well. If you need official accommodations, you have a right to have these met. There is also a range of resources on campus, including the Writing Center, Tutoring Center, and Academic Advising Center. (Figure 5, p.513). Further, she gives examples of positive versus punitive language, commands versus invitations, and cooperative versus paternalistic language. The third strategy is labeled Empowering Students through Flexible Course Plans. Womack saw that “traditional accommodations, such as longer time and adaptable assessment, provide a starting point to improve course practices.” Citing a number of research studies, she states that students are more motivated to learn when they feel they have autonomy. Womack suggests ways in which instructors can give students control. She discusses allowing students flexibility in deadlines. Her approach combines student-set and instructor-set deadlines, which allows an extended time-frame but prevents students from falling behind. Low-stakes writing assignments and incremental assignments may also provide flexibility. Minimal grading for some of this work is recommended. Womack also examines building flexibility into grading distributions. She focuses on those which work well for her writing courses, including contract grading where a system of assessment is negotiated. While this aspect of flexibility may be more difficult to incorporate into large lecture courses, the point is that assessments and grading should be carefully considered. Allowing students to drop the lowest grade in a series of quizzes or homeworks is an easy means of allowing students flexibility and control in a larger class. In concluding Womack reminds us that accommodation does not give disabled students an unfair advantage; “it is more likely all students have been given an unfair disadvantage through inaccessible pedagogy.” We should look at the “best versions of accommodation” as a way of teaching inclusively to a diverse audience and adapting in response to individual needs. While Womack offers some good examples in her essay, there are some great resources with “how-to” guides available. Womack created a website at Tulane University on making an accessible syllabus that frequently cited, but alas, no longer “accessible.” However, you can view an archived image of the site here. If you are someone who likes video tutorials, the University of Minnesota Accessible U has a series of video tutorials on creating an accessible syllabus and making accessible documents and accessible PDFs. You will also want to check out the University of Colorado Boulder Universally Designed Syllabus Materials website “to employ best practices when creating a course syllabus.” Some of the material is UC system-specific, but much of the information is widely applicable. Often I read an article or blog post and suddenly find that I am falling down a rabbit hole. Hours, or even days, later I emerge, having uncovered a wealth of information and resources that have to be edited down in order to present a reasonably digestible overview of a topic for you readers. Such was the case with David Gooblar’s post Now is the Time to Think About Accessibility on his Chronicle Vitae Pedagogy Unbound blog (August 8, 2017). From the links in his article, I went on to discover other great material on accessibility to share—enough good stuff for two posts. 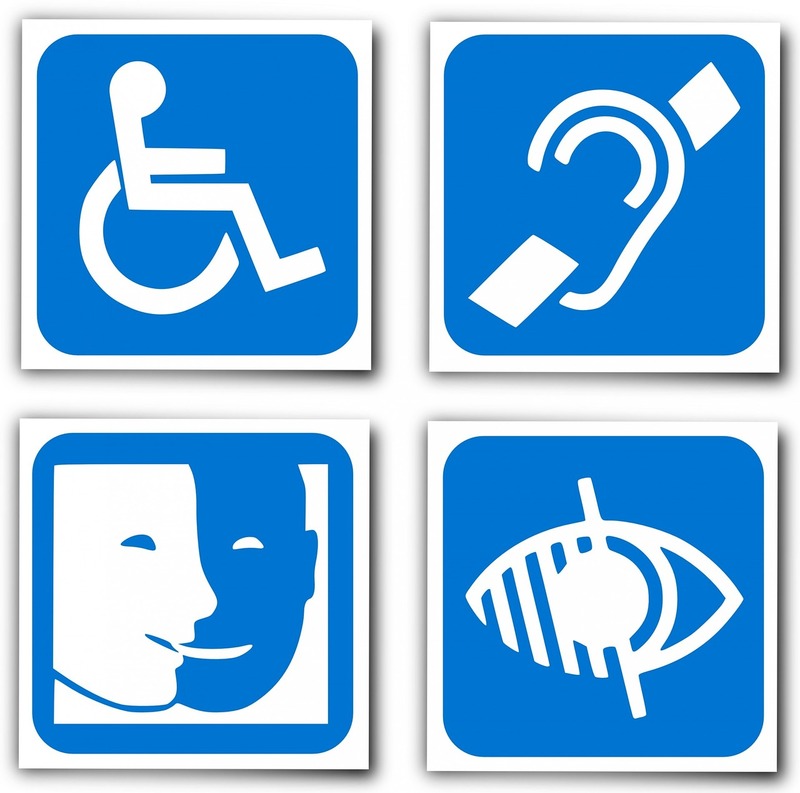 This first post will cover thinking about accessibility in your classroom in general; next will be a follow-up post focused on creating an accessible syllabus and other documents for your class. Teaching Is Accommodation: Universally Designing Composition Classrooms and Syllabi (College Composition and Communication, February 2017) by Anne-Marie Womack should be required reading for all higher ed instructors. [Note: if the link does not work, try copying and pasting this URL directly into your browser: http://www.ncte.org/library/NCTEFiles/Resources/Journals/CCC/0683-feb2017/CCCC0683Teaching.pdf.] It is an important document that asks us to rethink disability and academic accommodations. She starts by discussing “contemporary theories of disability to retheorize accommodation as the process of teaching itself.” Womack provides a history of disability law and American institutions of higher education, noting that students today must “pass substantial hurdles to qualify for accommodations” often at the risk of being stigmatized. Faculty, who may receive little institutional support, come to feel that they are the ones burdened by the process. Any resulting pedagogical changes are seen as affecting only the students with disabilities. Seen from another vantage point, inclusive teaching means eliminating barriers to learning, not eliminating intellectual challenges. Womack says, “Accommodation is the most basic act and art of teaching. It is not the exception we sometimes make in spite of learning, but rather the adaptations we continually make to promote learning.” She advocates accommodation of disabled students within a universal design framework. “Universal Design is the design and composition of an environment so that it can be accessed, understood and used to the greatest extent possible by all people regardless of their age, size, ability or disability.” Universal design is good for everyone. In your classroom, Womack suggests, for example, considering guidelines for dyslexic and blind readers, working under the assumption that by creating documents that more students can read, more students will read. She warns, however, that universal design must be used as a process, not to negate the need for accommodations, but to start to negotiate the means to accessibility for all.